Prof. Fausto Giunchiglia is a professor of Computer Science at the Faculty for Information Engineering and Computer Science, University of Trento (Italy). He was a PhD student and Visiting Fellow at the Stanford University (USA) and Research Fellow at the University of Edinburgh (UK). His main research field is in semantics, covering a wide range of topics, including knowledge representation, knowledge management, and knowledge diversity. HE is an ECCAI Fellow. He was a President and a Trustee of IJCAI, an Associate Editor of JAIR, and a member of the Editorial Board of many journals, including the Journal of Data Semantics and the Journal of Autonomous Agents and Multi-Agent systems. 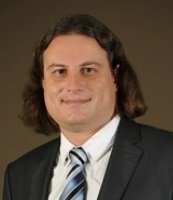 Dr. Preslav Nakov is a Principal Scientist at the Qatar Computing Research Institute (QCRI), HBKU. His research interests include computational linguistics, fake news detection, fact-checking, machine translation, question answering, sentiment analysis, lexical semantics, Web as a corpus, and biomedical text processing. At QCRI, he leads the Tanbih project (http://tanbih.qcri.org), developed in collaboration with MIT, which aims to limit the effect of fake news, propaganda and media bias by making users aware of what they are reading. Dr. Nakov is the Secretary of ACL SIGLEX and ACL SIGSLAV, and a member of the EACL advisory board. 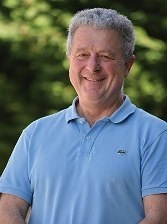 He also serves on the editorial boards of the Journals of Transactions of the Association for Computational Linguistics, Computer Speech and Language, Natural Language Engineerng, AI Communications, and Frontiers in AI. Dr. Nakov received his PhD from the University of California at Berkeley (supported by a Fulbright grant). He is the recipient of the Bulgarian President’s John Atanasoff award, named after the inventor of the first automatic electronic digital computer.